Primary research interests: Foundations of Computer Security and Cryptography. Among my interests: Cryptographic Proofs and Secure Multiparty Computation; Software Security and Protection. I'm also interested in many other aspects of computer science. See Research below. Secure Obfuscation Results: The First Cryptographic General-Purpose Software Obfuscation Scheme, see also: here, and here. My h-number (as of February 2018, according to Google Scholar): 71. Current Ph.D. Students: Dakshita Khurana, Saikrishna Badrinarayanan, Aayush Jain, Rex Fernandez, Peter Rasmussen, Nathan Manohar, Ashutosh Kumar. Brent Waters. Now Associate Professor (with tenure) at UT-Austin. Manoj Prabhakaran. Was Associate Professor (with tenure) at UIUC. Now Full Professor at IIT Bombay. Edith Elkind. Now Associate Professor at Oxford University, UK. Vipul Goyal. Now Associate Professor at CMU. Omkant Pandey. Now Assistant Professor, SUNY Stony Brook. Nishanth Chandran. Now Researcher at Microsoft. Abhishek Jain. Now Assistant Professor at Johns Hopkins University. Sanjam Garg. Now Assistant Professor at UC Berkeley. Ran Gelles. Now postdoctoral researcher at Princeton. Vanishree Rao, Now research scientist at PARC. Divya Gupta, Now postdoctoral researcher at Microsoft Research. Prabhanjan Ananth, Now postdoctoral researcher at MIT. Hakan Seyalioglu. Now at Google. Abishek Kumarasubramanian. Now at TradeWind Markets. Akshay Wadia. Now at Stitch Fix. Eric Miles (Fall 2014 to 2016), Now at Google. 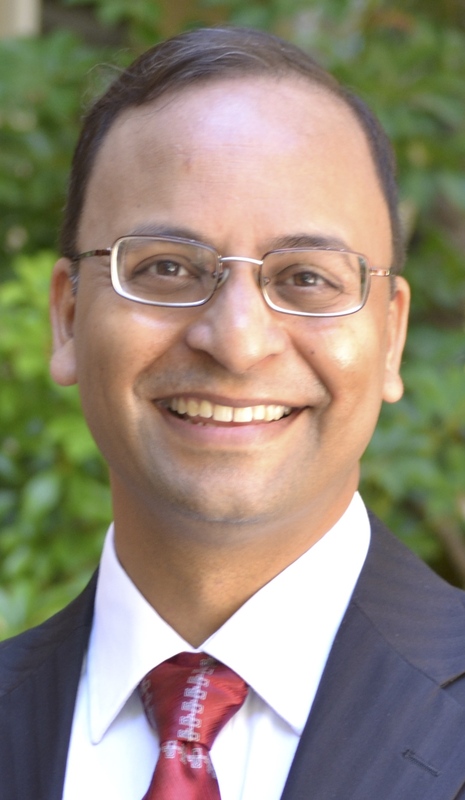 Omkant Pandey (Fall 2014), Now Assistant Professor at Drexel. Hemanta Maji (Fall 2011 to 2015), Now Assistant Professor at Purdue. Shweta Agrawal (Fall 2011 to Summer 2013), Now Assistant Professor at IIT Madras. Jens Groth (Fall 2005 to Summer 2007), Now Professor at UCL. Boaz Barak (Summer 2004), Now Professor at Harvard. Yuval Ishai (Spring/Summer 2002), Now Professor at Technion. I am (or have been) on the program committees for the following conferences. Be sure to submit your best papers to these conferences, and attend them too! Program Chair: RANDOM 2003, Princeton, August 24-26, 2003. IndoCrypt 2004, Chennai, India, December 20-22, 2004. AsiaCrypt 2005, Chennai, India, December 2005. STOC 2006 , Seattle, WA, May 2006. CRYPTO 2007 , Santa Barbara, CA, August 2007. SODA 2008, San Fransisco, January 2008. CRYPTO 2008 , Santa Barbara, CA, August 2008. Eurocrypt 2010, Nice, France, May/June 2010. CRYPTO 2014 , Santa Barbara, CA, August 2014. Program Co-Chair, Simons Institute Workshop on Securing Computation, Berkeley, California, June 8-12, 2015. TCC 2017, Baltimore, MD, November 2017. Eurocrypt 2019, Darmstadt, Germany, May 2019.